They’ve taken everything from him. Except his name. The Loks Mé have been slaves for so long, freedom is a distant myth A’yen Mesu no longer believes. A year in holding, because of his master’s murder, has sucked the life from him. Archaeologist Farran Hart buys him to protect her on an expedition to the Rim, the last unexplored quadrant. Farran believes the Loks Mé once lived on the Rim and is determined to prove it. And win A’yen’s trust. But she’s a breeder’s daughter and can’t be trusted. Hidden rooms, information caches and messages from a long-dead king change A’yen’s mind about her importance. When she’s threatened he offers himself in exchange, and lands on the Association’s radar. The truth must be told. Even if it costs him his heart. This has to be one of the best début novels I have read. The concept is impressive in its complexity, and Smith’s writing is very clear, minimising confusion as one learns new concepts and is introduced to a society and people group that is entirely alien. A’yen, the main character of the book, is introduced to us as a slave-with-no-owner who has been kept in ‘holding’ for just over a year. We soon learn that his previous owner, and lover, was murdered and died in his arms. His outlook on life as we meet him is bleak, to say the least. Most importantly, he no longer believes that his people have a homeworld. 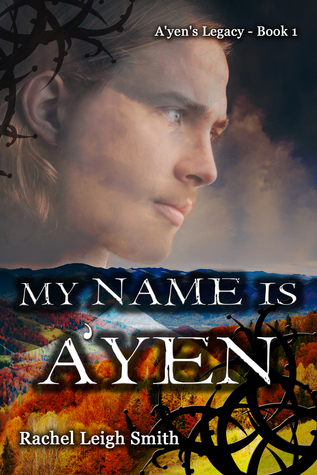 He is soon purchased by Farran Hart, an archaeologist in search of A’yen’s homeworld. Together they embark on an expedition to a planet on the Rim that sees to fulfil the promises told in the legends of A’yen’s people. A planet A’yen previously visited with his former Master. What I really like about this book is that it is, while clearly being a romance, not your conventional romance-format story. While the romance itself faces challenges, the tension in the book comes from an unrelated source. It didn’t take long for A’yen to worm his way into my heart, which made this book a very tough read at times. There were numerous occasions when I was threatening Smith with all sorts of dire consequences if I had to read any more of the book (which, yes, I DID have to read!). What that means in simple terms is that she is a first-rate author; she gets you to love who you’re meant to love and resent/hate/loathe/despise (pick your emotion) those who you’re meant to… take your pick. And I love a book with a well-drawn villain – much as I frequently wish to punch them in the snoot. While it isn’t your conventional relaxing, easy read, it is a very rewarding one. All the characters have depth, and there are even a few surprises along the way for good measure. I appreciated the lengths to which Smith went in building the cultures, society and worlds the book depicts. Here are no info-dumps, but instead tidbits that are easily digestible and tangible, building up images in the mind. Overall, this is – despite the tough subject matter (slavery, physical and emotional abuse) – an accessible read with a lot of heart and a huge amount of depth. There is clearly much more to this than one book, and I will look forward to each of Smith’s future works.